What's one way to make your summers even brighter? That's easy; having bright and fun nails! 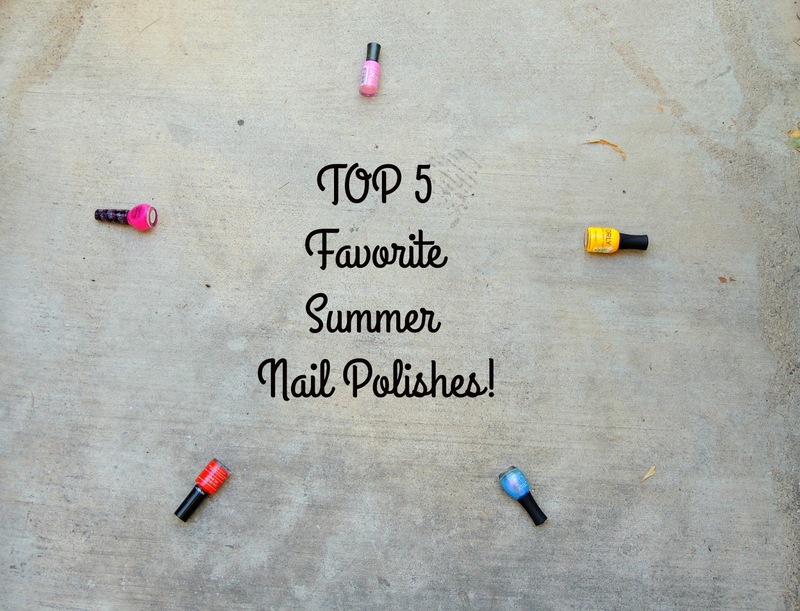 During the summer, I'm so much into painting my nails even doing cute little designs that pop-up in my mind that I had to share with you my top favorites before summer is over (time flies too quickly). I find that doing my nails is therapeutic and always a nice "me time", which is why I enjoy it so much. Plus, clean and freshly painted nails always give me a confidence boost, which I think is one of the main reasons why we girls like to do our nails, make-up, pick our outfit and so on.... What's your relaxation "me time" hobby? My excitement has hit its highest so let's get started! Not only in clothing are bright colors my signature! Just as much, I love vibrant nail colors like this yellow, those of you who've been reading my blog for a while will know this is so my style. Lovely and bright as the sun, I like the hint of tiny golden dots that gleam in the light whenever I'm wearing this nail polish. The photos don't give it full justice because you can't see what I'm talking about, but trust me this color in person is more than a simple yellow. I think it would look amazing with a white summer dress on or literally anything floral or tropical print that speaks summer. 2. ORLY Color Blast "Frozen"
This one is the most unique nail polish I own because of all the shades it has in one. From one angle it looks blue, from another green or purple, which gives this rich blast of colors or the illusion of multiple colors making it one magical mixture in a bottle. A nail polish like this one has got me praying that it'll never end or get old because I love it and want it to last me a lifetime (it's already half empty). If you have a similar one, you know exactly how I feel! 3. Nicole by O.P.I. "Spring Break"
From Selena Gomez's collection this nail polish is the perfect fuchsia color that's a must for me during these hot summer days. It can literally be seen from miles away with this rich color. Two coats and you'll know your nail polish will be the talk of the conversation among friends and family (especially if they're girls). I love wearing this color because it totally gives me those summer vibes and my nails love it too. hahaha As a matter of fact, I even have my toes painted this same color, which shows just how much I love it. 4. Sally Hansen "Bubblegum Pink"
Sweet and pink this bubblegum nail polish is like a dream. I absolutely love it. I mean just look at it and now imagine it on your nails. See what I mean?! This is my favorite shade of pink that I love to wear in my clothing and on my nails. True beauty, that always reminds me of the cotton candy I used to eat when I was little. If only it appeared in my hands whenever I wear this color, I would be the first to tell you all about it. Now let's pretend that we're all having a cotton candy party! Who's getting lucky tonight? Me! Why? Because I'm wearing this nail polish,so I might even drop by the casino and use my luck for some great winnings. 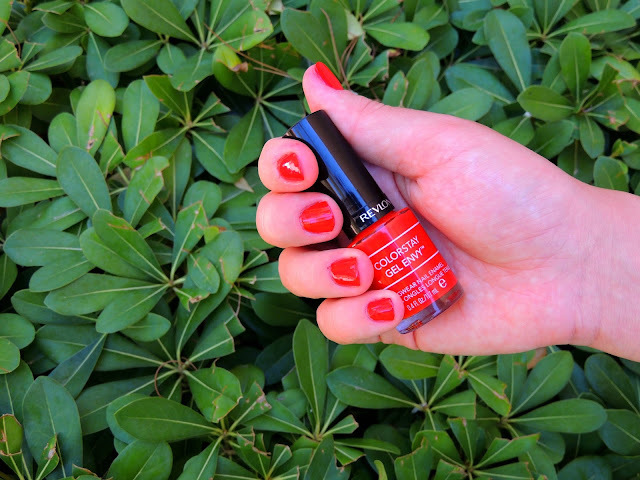 With this nail polish on my side, I'm lucky all the time!Such a beautiful pop of orange, won't you agree? I had no doubts about including this color in my top favorites because it's highly rated in my heart. There is no summer without it. I use it (a bit too frequently), love it and will keep on loving it even through the beginning of fall. Which one of these nail polishes is your favorite? Thank you for visiting. Come connect with me on Instagram! If you have any suggestions of what more you want to see on my blog, hit me up and let me know. Bye! Lily, I'm sure you can pull off the yellow during the summer, give it a try. You would be surprised. Gorgeous shots babe. Love it! I love the holographic blue polish! So much fun. Great picks, I love Orly! I know exactly what you mean. It did that to me in the store as I was looking for summer nail polishes :) Thank you! A definite eye-catcher. Love this yellow shade! Love the shades! The "Get Lucky" one is my fave! Love the light pink one, so cute and feminine! That means so much! Thank you lots! 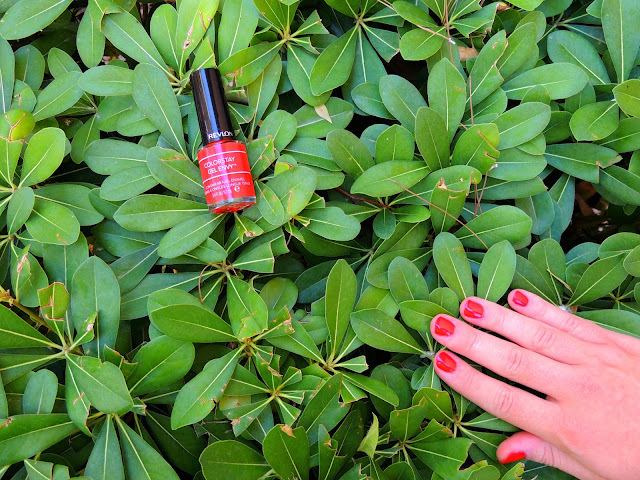 Revlon nail polish is looking wonderful! Love that yellow! So cute for summer. Isn't it the bomb! Love it too! Lovely colors indeed on your hands! Happy to hear that, thanks so much Whitney! I don't really wear yellow polishes, but all of these are so pretty! Oh yay, yay, yay to yellow! So glad to hear that you share the love of nail polishes like me. Thanks! hahaha I love white as well. Bought one recently that I can't wait to wear. My fourth of July was wonderful. Went to the morning parade and later at the night the fireworks show was spectacular. There were even smiley face fireworks that I'll never forget. Thank you so much for this sweet comment. Even thought nail polishes aren't your thing, I'm glad to see you here.